The split stance squat is a classic strength exercise. This is a variation that I like to use to build strength and capacity in the lower extremity while challenging trunk control. The suspension trainer that I’m using in this video is the Redcord, which I really like because it improves the fluidity of the movement. Remember to keep your knee positioned vertically over your ankle rather than the forefoot/toes. I’ve also incorporated a medball into the drill to increase the difficulty of the exercise while challenging trunk control. Once the performer is able to perform the slow motion farmer’s carries with minimal to no wobbles, I progress them to the slow motion march to further challenge single leg postural stability and trunk control. This is also one of my favorite ways to challenge frontal plane control of the hip and trunk while building capacity of the hip abductors. While some folks like to perform suitcase carries, anecdotally they seem to elicity an unwatned trunk lean with heavier weights. Think of getting tall when performing this exercise and avoid sinking in to the hip. Aim to perform 3, 10-15yd passes while holding a moderately heavy weight. This video provides viewers with a sample strength and conditioning routine that I often perform and prescribe to athletes to build general fitness and capacity. The first handful of drills are simple dynamic warm up exercises. The next portion of the routine gets into the crux of the strength exercises and includes a squat, step up, bench press, and row. Moderately heavy resistance (~70% of a 1RM) should be used for these drills while affording 60-90s between each set. The reps should be performed in a slow and controlle manner. The program finishes up with counterjumps. A program of this nature can be performed 2-3x per week. The split stance squat is a classic strengthening exercise. It’s particularly effective to build strength and capacity of the lower extremity musculature while challenging trunk control. In this case, I’m demonstrating it with the Redcord suspension trainer, which serves to improve the fluidity of the exercise. Research has also shown that by placing additional load in the opposite arm relative to the stance leg that we can further challenge the lateral hip musculature, which plays a particularly important role during the stance phase of running. I typically recommend perform three set of 8-12 reps alternating between each side. Lastly, remember that at the bottom of the motion the knee should be over the ankle rather than the foot. This is a great head-to-toe drill that challenges the performer in a variety of ways. In addition to serving as a strengthening exercise for the lower extremity, it also demands trunk control and overhead strength and mobility. It also challenges great toe mobility on the hind leg. Care should be taken to avoid overarching the low back. Lastly, start by using a relatively lightweight medball or equivalent object until you feel like you control the movement. Aim to perform 2-3 sets of 8-12 reps alternating b/w sides. The free standing squat is a simple & practical drill that I routintely program for adolescent athletes and those who are green when it comes to strength training. Considering that we all have different hip architecture/anatomy, I suggest find the most comfortable position in terms of stance width and degree of toe out when performing this exercise though 15-30 degrees of toe out is reasonable starting point. As you lower your body down, you can raise your arms towards shoulder level with the thumbs pointed up and palms facing each other. If you have a dowel rod you can easily incorporate it into the exercise as seen in the video. I suggest performing 3 sets of 10-15 reps in a slow and controlled manner for this drill (3s on the descent & ascent). The calf muscle complex, particularly the soleus, plays an integral role when it comes to distance running. Ensuring that runners possess adequate strength and capacity of this muscle group is important to withstand the forces of bounding from one leg to the next. The seated barbell calf raise is a great drill along these lines. Don’t be surpised by how much load you may be able to tolerate in time. Avoid bouncing at the bottom of the movement. Otherwise, 3 sets of 10-15 reps is a good starting point when initiating this exercise. In the event that you have gym access you can also perform this using the seated calf apparatus, especially when you get into higher loads. The body row is a simple and practical exercise to build robustness about the upper quarter while demanding trunk stiffness. You can either use a basic suspension system and do the standard row, or, in the event that you have a Redcord Axis system, you can also incorporate spinal rotation into this drill. This is particularly helpful for swimmers as well as other athletes who’s sports involve spinal rotation such as golf, tennis, etc. 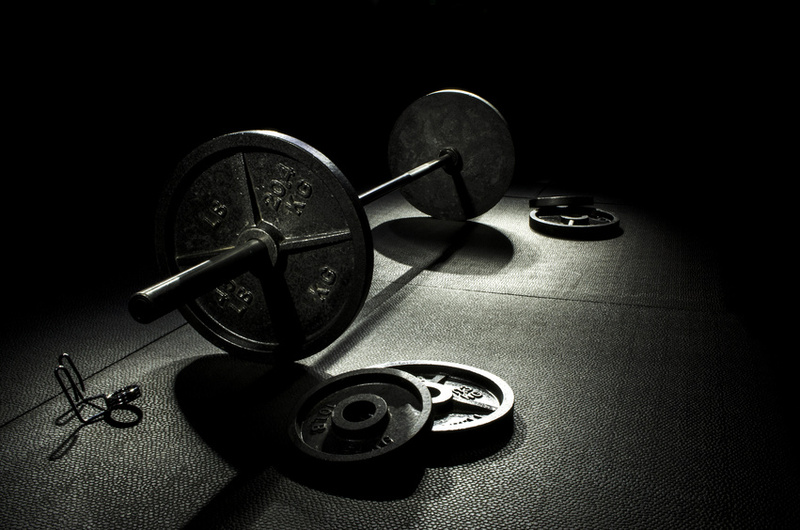 In terms of sets and reps, aim to perform 3 sets of 8-12 in a slow and controlled manner. To increase the level of difficulty, advance by progressing to a more horizontal position.